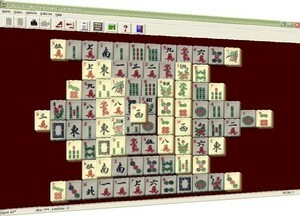 Pretty Good MahJongg makes playing MahJongg solitaire easy and fun. Each of the games feature undo to the beginning of the game, redo, snapshots, restarts, select game numbers, and full statistics. Hints are quickly available by right clicking on a tile. In tile matching games, you can find all the matches by right clicking in an empty area. Leave a game while it is in progress and Pretty Good MahJongg will save it for you - when you enter that game or layout again it will be where you left off. You can submit your statistics to the web site and see how you rank against other players. For an extra challenge, play Pretty Good MahJongg in Climb Mode and try to get the highest score!